Take your life to the next (plastic free) level today. Confessions on plastic flood. Last weekend, the Chennai Trekking Club literally initiative inspired me. I joined this trekking club in 2013-15, just after my first long trip to India. Every year in June it organizes huge cleanup drive of the South Indian coastline (you can find it following hashtags: #CCC8 and #noplasticchallenge). So I decided to try to live more plastic free on a daily basis, as I easily found that I got used to plastic so much in my every day life that it’s VERY difficult to completely exclude it from day to day use. But then, how can we get more Eco when plastic is flooding us from all possible sides? I do not know whether what I planned will be 100% successful, but I will check it and try on my own example for sure! Not from tomorrow, not from next Monday, but starting from NOW I decided to minimize the impact of plastic on my and my family health. Even the smallest gesture counts, because unfortunately, the sign of our times is that we have become too dependent on the plastic materials. I dare say, it’s almost the era of plastic, and definitely, the health effects of its overproduction will be dealt with for several generations. Maybe not everyone is aware that more than 60 billion tones of plastic waste is produced worldwide every year. It is extremely harmful because it is not biodegradable and its molecules become part of the food chain. Research by US scientists’ shows that EVERY plastic gives off some harmful substance. Therefore, we should limit exposure to these poisons, eliminating contact with our food and water, so plastic containers, for example, can be replaced with steel / metal / wooden appliances in our kitchens or bathrooms. The picture below shows the signs we will find out on products made of plastic. In order to live more healthy – let’s find out what they mean. The material from which the plastic bottle or food packaging is made is located on the bottom of the product, in the form of a graphical symbol consisting of three recurring arrows forming a triangle. 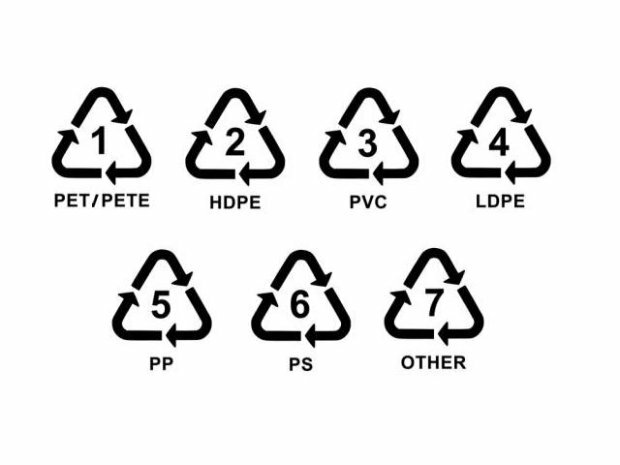 In the middle of this triangle there is a number from 1 to 7 informing about the type of plastic from which the packaging was made. PET or PETE – polyethylene terephthalate is one of the most commonly used plastics. It is used primarily for plastic bottles, for drinks or disposable dishes. Such packages should not be reused. HDPE – polyethylene or high density polyethylene. In addition to food container we can find this material used for production of pipes or ropes. It is one of the two safest materials for us. It is reusable. PVC – polyvinyl chloride. One of the worst plastics for food packaging, it can release toxic substances. LDPE – polyethylene or low density polyethylene. Packages from this material can be reused. PP – polypropylene. In addition to food packaging, we can find this material in wires or some car body parts. It is considered one of the safest for our health. PS – polystyrene. It is a source of toxins, should not be used in the production of food packaging. OTHER – refers to “other materials”. 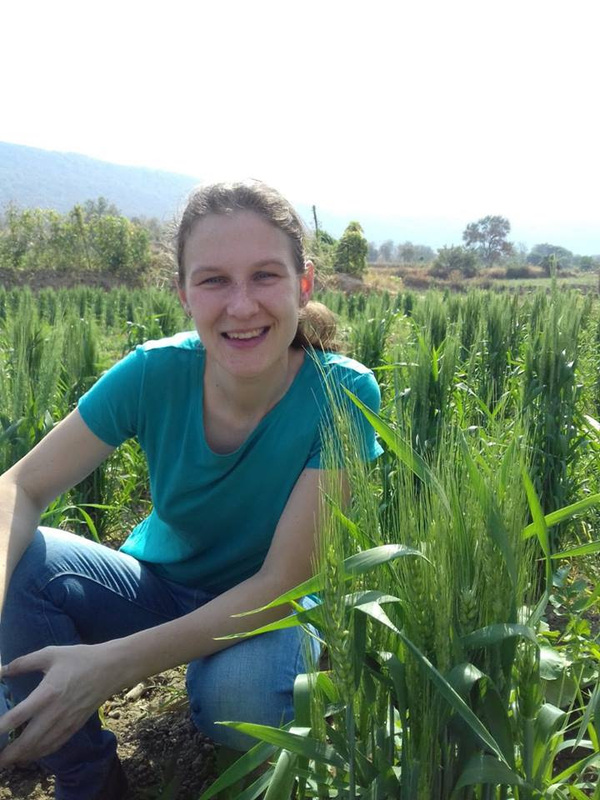 In this group we can find plastics that should not be used for food packaging production. Do not reuse PET bottles, exposed to the sunlight, especially during summer time, it can produce harmful toxins to the inside of the drink. Do not heat food in the microwave in products with no 7 labeling, do not pour hot liquids into them and do not wash them in the dishwasher. Plastic containers should be used according to the instructions on the packaging, let’s apply to the temperature and dishwasher labeling. A safe alternative to commonly used plastics can be glass/stainless steel/wooden containers and paper. Therefore, after shopping, it is important to ensure that or products are kept in paper or under glass in the fridge. I personally promise to take up the challenge. I want to live without plastic packaging. Starting from my toothbrush, ending with stainless steel lunch box. How do I exactly want to achieve so? If you do not know – ask! If you do not know – read! Internet, books, friends – every opportunity, every source is good to broaden the horizons. Literature about ecology is widely accessible and spread online, but if you prefer traditional approach, visit the bookstore or library. Read labels, markings on products and look more closely at product packaging. Today plastic is almost a part of our life and everything indicates that it will be even more of it. I myself have found out by taking #noplasticchallenge how many things are made out of it and how hard it is to eliminate it immediately. But wait. That does not mean that you need to get rid of all the plastic stuff from your home straight away. It is good to start with conscious planning, eg shopping – vegetables instead of plastic bags let’s put in paper / cloth bags, always carry your own handbags. This is a target for me definitely that will succeed gradually if I plan and realize it well. Of course some practical problems will raise everyday. How to get a bamboo toothbrush? Are detergents only available in plastic packaging? Why should the toothpaste tube have a plastic cap? I still have a lot of plastic stuff in my house: dustbins, mugs-buckets-containers in the bathroom for bathing, milk is delivered home from a farmer in a plastic bag, most of the toys… and I do not have any good idea how to Get rid of them all so I would love to hear hints from! Do you have any problem with your plastic products that you would like to replace with a more Eco-friendly one? Share it and pass it on! Our Planet’s Oceans will soon be filled with plastic instead of fish! We are slowly killing our eco-system and ourselves being part of it. 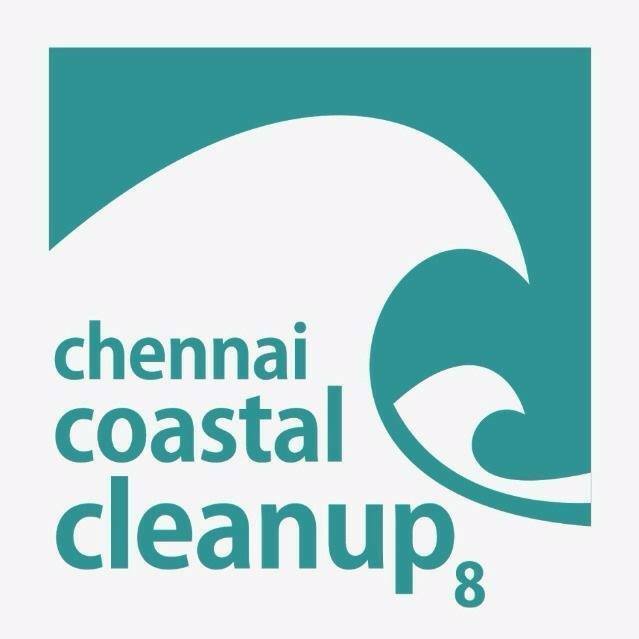 Join the 8th year edition of the Chennai Coastal Cleanup, South India’s largest awareness drive to create sensitize the public on the impact of plastics on planet and health. 1500 volunteers including 300 individuals and 35 organizations signed up so far. Be a part of it!